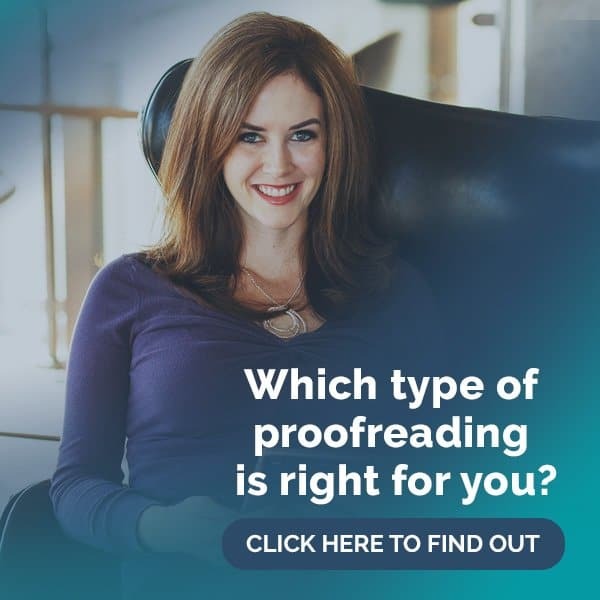 What does personal finance advice have to do with proofreading? Everything! 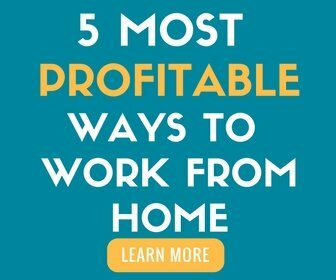 The idea behind this blog (you know, the one called “Proofread Anywhere”) is that you can make money doing something you love without being tied to any particular office, city, working hours, etc. You really can proofread anywhere, and I have hundreds of successful students who can back me up on that. Freelancing is awesome because you can be location-independent, but it can get a little tricky in the money department because things aren’t as cut-and-dry as they would be with, for example, your typical salaried job with its tax withholdings, regularly paced deposits, and tidy W2 at the end of the year. How do I budget on an irregular income? Can I invest as a freelancer? Should I save money or pay down debt? If you’re a freelancer or thinking about becoming one, these are just a few of questions that I know have popped into your head. That’s because the same questions inevitably come up when people are looking to make a career change in their lives — and they can potentially put all kinds of pressure on your decisions and hold you back from success. To help you take control of your doubts and fears, we spoke to Chris Peach, the creator of Money Peach and the Awesome Money Course. Chris has a ton of personal finance advice, and he was kind enough to answer some of our community members’ questions about money. 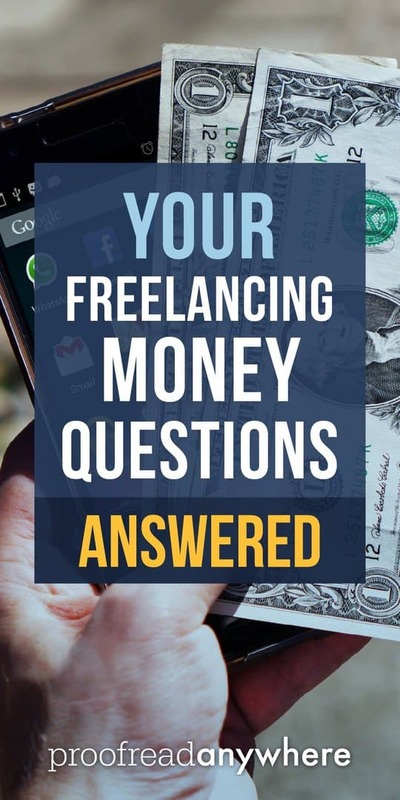 This is your one-stop shop for everything you need to know about managing your personal finances in general, but it’s especially great advice for those of us who are freelancing fanatics. You might want to save this post and refer back to it whenever you have questions or need a refresher! Q: How do you save money when you don’t have money? This is probably the number one question I receive; however, it’s not the right question you should be asking yourself. Instead of asking how to save money, you should be asking yourself why you don’t have money to save. Not being able to save is a symptom of the real problem. Don’t treat the symptom; treat the problem. How well has your plan been working without a monthly budget? If you were the CEO of “YOURNAME Inc.,” how long would you be open for business? The bottom line is this: what gets measured gets managed. Once you create a budget, you are going to see exactly where your money is going (or not going), and you will quickly be able to identify the problem of why you haven’t been able to save any money at all in the first place. Now, this is where your behavior with money becomes the catalyst to your own financial freedom. RELATED: 9 Must-Read Novels with Jaw-Dropping Plot Twists -- Reader Recommended! Budgeting is only 10% fifth-grade math and 90% behavior. Change your behavior and you will see immediate results in all areas of your money. Module 1 of Awesome Money Course is called the Budget Breakdown. In this lesson, I break down how to create a real monthly budget that is simple but adapts to your lifestyle. The key to personal finance is to understand that personal finance is personal. This means you, your best friend, and the crazy neighbor are all going to have a different-looking budget. Therefore, Module 1 doesn’t tell you what to do, but rather shows you exactly how to set up your budget for your life and your money. Q: How do you balance paying down debt and saving for the future? I see so many people doing the seesaw effect; they either save and ignore their debt or throw everything they can toward debt and ignore the savings altogether. 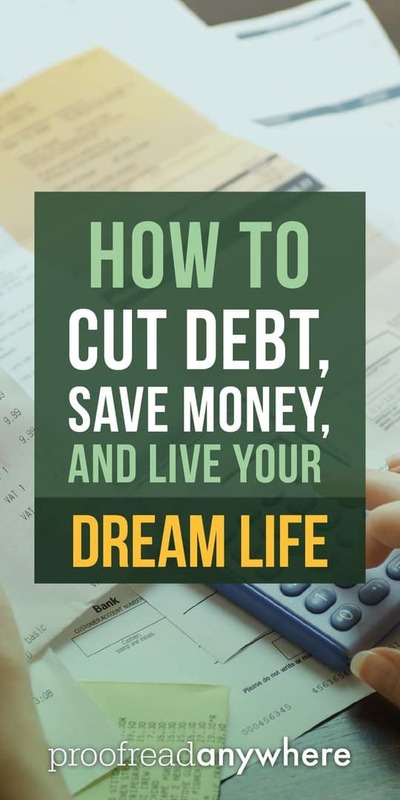 If you ignore the savings to pay down all of your debt, then what happens next is you have an unexpected expense come up, and since you didn’t have money saved up, you go right back into debt. On the other hand, when you save up as much as possible and only make the minimum payments on your debt, you’re mostly paying interest and not making a dent at all. By choosing either debt or savings, you’re always going to come up short. The better plan is to do both in a combination. But the million-dollar question is “How much of each should you be doing?” right? In Modules 2, 3, and 4 of Awesome Money Course, I break down how they all relate to each other. The CliffsNotes version is this: save up $500 – $2,000 as quickly as possible and set it to the side for emergencies only. Then, take your budget and squeeze as much as possible out of it so you can throw as much as possible toward your debt. 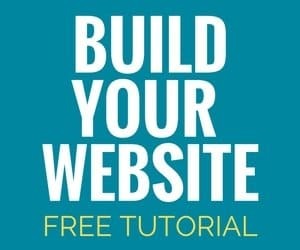 Inside the course, you will learn what debts you should pay first and you will create a debt payoff blueprint! On average, most students inside Awesome Money Course will have all of their non-mortgage debt paid off in 20 months or less! Q: What about when you “should” spend but have a hard time with it? I have a really hard time spending money — even when it’s an investment that’ll pay me back a thousand fold. I know I’m not alone! Case in point: I just enrolled in a blogging course last week, and I’ve already made my money back in how it’s improved my blog. What advice do you have regarding letting yourself be okay with spending money as long as the investment will directly improve my life or income in a measurable way? This is a great question! Spending money and investing are two different things. When you are spending money, you are trading money for something else (goods, service, etc.). With investing, you are keeping your money while growing it over time. It’s still your money — you didn’t spend it; rather, you gave your money a job to go to work for you. Another thing to look at is the alternative of not investing for your future. Did you know that social security is actually a negative investment? You never get the money back that you put into it. If you took all the money you put into social security and you put it inside a cookie jar for your entire working lifetime, you would actually have more money! Therefore, what do you want your life to look and feel like in your later years? Since we have all seen how well the government is at handling money, would you want to leave it up to them to take care of you in the future? You are much better off spending less now and investing more into your future so you can live the life you deserve after an entire life of working. In Module 6 of Awesome Money Course, I show you exactly how investing works, what types of accounts are available for you to grow your money in tax free, and what life looks like if you choose to save consistently throughout your working lifetime. Remember, spending and investing are not the same thing. Spending costs you money and investing makes you money. Q: What’s your advice on sticking to a budget when your income fluctuates? Yes! Budgeting is, of course, more difficult when you don’t have a steady paycheck every month, but you unfortunately don’t get a pass on budgeting. Inside Module 1 of Awesome Money Course, I show you how to create a steady paycheck from a fluctuating income and how to make budgeting simple using a strategy of creating consistency from inconsistency. To get started, look back over the past 90 – 180 days of income and average out each month. Using that average, create a paycheck from built-up reserves you will have from some of the bigger months and pay yourself a steady paycheck from those reserves. Since money does fluctuate both up and down, it is important to continually review on 60- to 90-day cycles and adjust your budget accordingly. This may sound confusing now, but I break it down in the video of Module 1. Q: How do you decide which debt to pay off first, especially when income is limited? You should pay off your smallest one first and ignore the interest rate. Interest rates have to deal with math, but remember math is only 10% of the problem. The other 90% is your behavior. By paying down the smallest balance first, you are focusing on the behavior and not the math. There are exceptions to every rule, and I teach this further inside the Debt Lessons (Module 3 and 4) of the course. Q: How do you plan for taxes as a freelancer? Is there a ballpark figure? You should be paying your taxes quarterly as a freelancer. By breaking it down into quarterly payments, you are not having to go back over a year’s worth of freelance documents and you give yourself a better idea for the next quarter tax liabilities versus trying to adjust every year. Q: Investing 101 — but on a modest, inconsistent income. Where does one begin? You begin investing once you have a strong foundation built. Your foundation is a consistent monthly budget, emergency fund, and zero non-mortgage debt. Once you are able to focus all of your attention on building this foundation, then investing becomes fun. Think about this: if you had no debt and $10,000 in the bank for emergencies, how much could you invest? As far as where to invest, I recommend a combination of employer-matched plans (401k, 403b, 457f), ROTH IRAs, and self-employed options as well. Inside Module 6 of Awesome Money Course, I break down all of these and show you the differences between the S&P500, the DOW 30, the NASDAQ, a stock, a bond, and a mutual fund. We also create a formula for where to invest, how much to invest, and where your money should be going first. Wow! Talk about some fantastic personal finance advice! Chris has shared a wealth of knowledge with us, and we can’t thank him enough for his time and expertise. If you’re ready to dig even deeper into your personal financial situation, consider checking out Chris' high-quality course. What do you think? Are you ready to take charge of your personal finances this year? What was the most beneficial piece of personal finance advice you learned from this post that you’ll implement in your own money management? Let me know in the comments! Great article. You have some very sound advice and I’ll definitely be sharing this post with my other freelancing friends. I especially liked the part where you say to split between debt repayment and savings. Do you just go over investment options for those in the US or do you broaden to other countries? ie I’m in Canada. Great question. When it comes to the investment module of the course (Module 6), the investments lessons taught are based on the HOW and What of investmenting. The goal for the lesson is to have a complete understanding of a stock, bond, mutual fund, money market account, CD, and the like. We do have current students from Canada, Australia, the U.K., and all of them get the same value from the investing portion since the goal is to teach overall investing knowledge vs investing strategies per each country. I am on disability. I receive less than $1000 a month. I know exactly where my money goes because it’s measured. Budgeting is something that I’ve had to learn to do living on such a small income and saving is non-existent. I am looking for a way to help myself get back into the workforce on a part-time basis. I’m hoping for added income in order to be able to start saving again. I liked all the information in this lesson and look forward to gaining more knowledge and skills. Some great things to think about here, your course sounds awesome!